Marc, you're amazing! You know exactly what you're doing and you're a pro! Thank you for everything you do! Combining his high quality legal expertise and his interest in knowing our business goals absolutely resulted in a successful outcome for us. Marc Blumenthal is our attorney and trusted adviser. Combining his high quality legal expertise and his interest in knowing our business goals absolutely resulted in a successful outcome for us. Choosing an Illinois lawyer should be undertaken with great care and attention, as the outcome and costs of resolving your issues may be largely determined by the attorney you pick. At the Law Offices of Marc J. Blumenthal, we understand that every problem is unique and requires focused attention. We proactively look for ways to avoid legal entanglements, and even when they do arise, we solve them as cost-effectively as possible. A lawyer with decades of experience helping businesses and individuals with transportation-related issues, estate planning, business and real estate transactions, Mr. Blumenthal knows that it is the details of your case that make a difference. Whether you are an out-of-state trucker whose Commercial Driving License (CDL) is in jeopardy for an overweight violation on interstate I-90 or a young family in Buffalo Grove purchasing your first home, Mr. Blumenthal will teach you the process, explain your options and provide you with direction. Working with Mr. Blumenthal is easy and convenient. Our Buffalo Grove law office is a short distance from Chicago, Arlington Heights, Schaumburg, Lake Forest, Bensenville and Elk Grove Village. Where appropriate, he can meet you at your business location. You can expect your phone calls promptly returned and questions clearly answered. 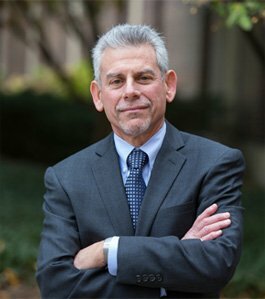 Mr. Blumenthal is widely recognized in the greater Chicago legal and business communities. President of the Buffalo Grove, Illinois, Chamber of Commerce, Mr. Blumenthal promotes business interests before the village of Buffalo Grove, as well as Cook and Lake County governmental units. Mr. Blumenthal is also spearheading the effort to create new opportunities for local business. Call the Law Offices of Marc J. Blumenthal today at 847-808-7092 or by online contact form. Running a business, especially one that involves the transportation of goods over interstate commerce, is more complex than ever. You need an attorney who knows your industry, someone who has represented businesses like yours. Your focus should be on creating new opportunities, finding greater efficiencies and maximizing profit. However, regulatory hurdles can often derail your progress and consume a great deal of time and energy. Mr. Marc J. Blumenthal has over 30 years of experience in transportation law, helping shippers, truckers and transportation companies comply with local, state and federal regulations in the most cost-effective ways possible. If you need assistance with contracts, business transactions, overweight trucking cases, freight loss and cargo damage cases and independent contractor issues, Mr. Blumenthal has the expertise to help you. We help small and medium-sized businesses with transactions and corporate creation, maintenance, annual reports, contracts, leases, asset purchase agreements and buy-sell agreements. Marc J. Blumenthal is a Chicago Business Attorney who finds a way to make a deal work instead of getting in the way of it. His perseverance and attention to detail often clarify what your rights and obligations are, derailing future disputes. Further, Mr. Blumenthal uses his network of professional and business contacts—including bankers, accountants, financial advisors, insurance agents and other professionals—to help facilitate deals and transactions. 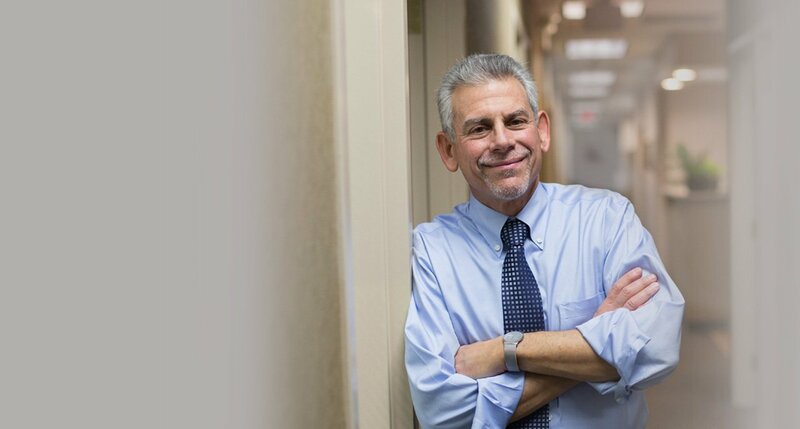 When you work with Chicago Estate Planning Attorney Marc Blumenthal, one of the first things you will notice is his willingness to get to know you on a personal level. By taking the time to have in-depth conversations with his clients, Mr. Blumenthal is able to learn each person’s unique wishes and preferences to map out an estate plan that reflects their preferences. Estate plans are tremendously important documents, as they make sure that your loved ones are provided for after you pass. To get started, call the Law Offices of Marc J. Blumenthal today. Mr. Blumenthal represents both owners and prospective owners of commercial, residential and industrial real estate, providing his full support and assistance from the time you first consider selling or purchasing property until it has closed. With years of experience as a trusted real estate lawyer, Mr. Blumenthal considers both the legal and financial aspects of a real estate purchase or lease. For example, with the significant decline in real estate prices, the value of many properties is less than the amount of the mortgages and liens recorded against it. Mr. Blumenthal can help negotiate with mortgage lenders and lien holders to try to alleviate the situation. Our team of Chicago Real Estate Lawyers will ensure that you are prepared, that all due diligence is complete, that any liens or other encumbrances have been sufficiently disposed of adequately and that the documents are ready for signature. Mr. Blumenthal can also work a piece of real estate through the probate, if it’s necessary for a sale to occur. When you work with Mr. Blumenthal, you can rest assured that all contingencies will be considered and the best course of action will be taken. To get started, call the Law Offices of Marc J. Blumenthal today at 847-808-7092 or contact us online. We serve clients in Buffalo Grove, Arlington Heights, Schaumburg, Highland Park, Rolling Meadows, Wheeling, Vernon Hills, Cook County, Lake County and the surrounding areas.